Jealous of Beach’s exclusive pics and Q&A with Matt Wagner, Producer at Eagle Dynamics, I just had to one-up him, so I hopped in my car and drove directly to Matt’s office to see what goods I could get. 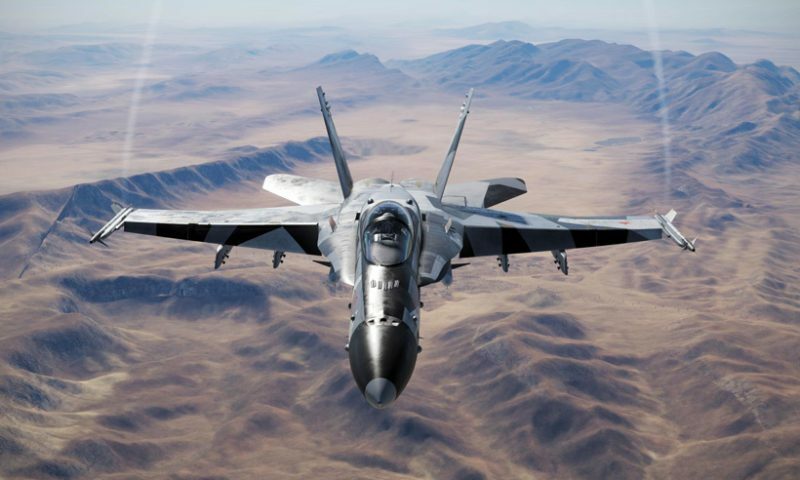 Once there I got to get a first-hand look at DCS World 2.0, the new graphics engine, Nevada, and – the highlight of my afternoon – to fly (and fight!) 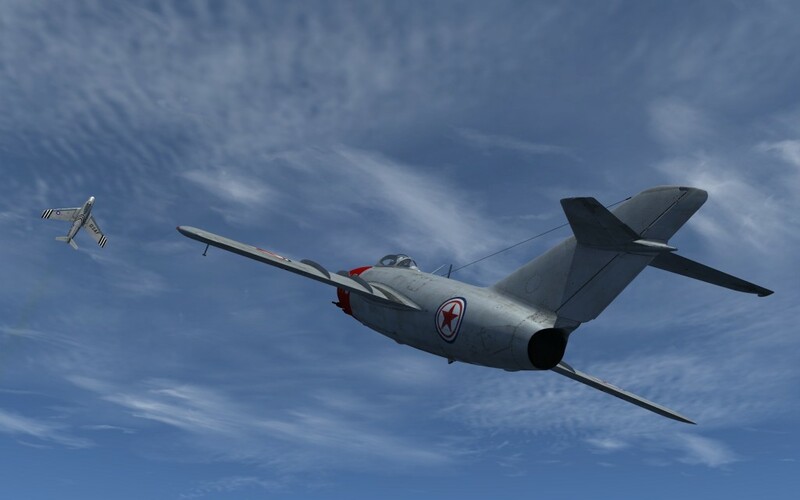 the still unreleased MiG-15bis! NOTE: Most of the products I discuss below are pre-alpha, pre-release, works-in-progress and do not necessarily reflect the final product. Any errors in the content below are mine alone. Stay tuned to the Eagle Dynamic’s forums for the latest information on these products, and more. 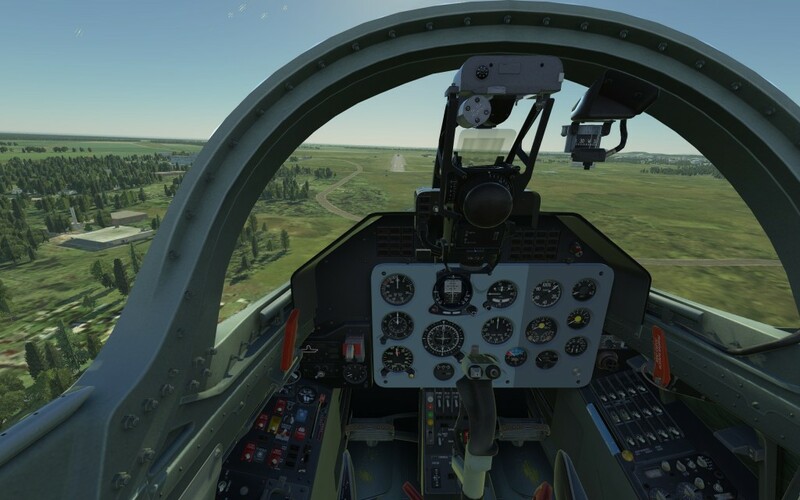 We’ve all been waiting breathlessly for DCS World 2 to come and, with it, some new terrain to see outside the windscreen. I got the distinct pleasure to be the first person outside of Eagle Dynamics to get hands-on time with DCS World 2.0 and the still pre-alpha graphics engine. The new engine really shines close down to the ground. One of my first questions/concerns was our old terrain – would the new engine somehow break the Black Sea? Although some of you out there wouldn’t shed a single salty tear if the Georgian terrain mesh were mysteriously corrupted and disappeared off the face of the Earth, I’ve happened to grow quite fond of it. Trading one terrain for another wouldn’t be a great deal, either, so I had Matt show me what the Black Sea area looks like with the new engine. Matt insisted that the new terrain hasn’t been changed at all, but it sure seems different to me. The terrain mesh and textures are all exactly the same for the Georgia terrain, but the new engine lighting model (including atmospheric effects) and terrain shadowing makes a noticeable effect – at least to my eyes. The ridges and mountains still have bumps and angles where the old terrain did – the geographic data hasn’t changed – but I swear it looks more life-like and a little less “stamped out”. I’ll need to take a bunch of staged before and after shots once DCS World 2 comes out to see how crazy I really am, but I swear it looks different. 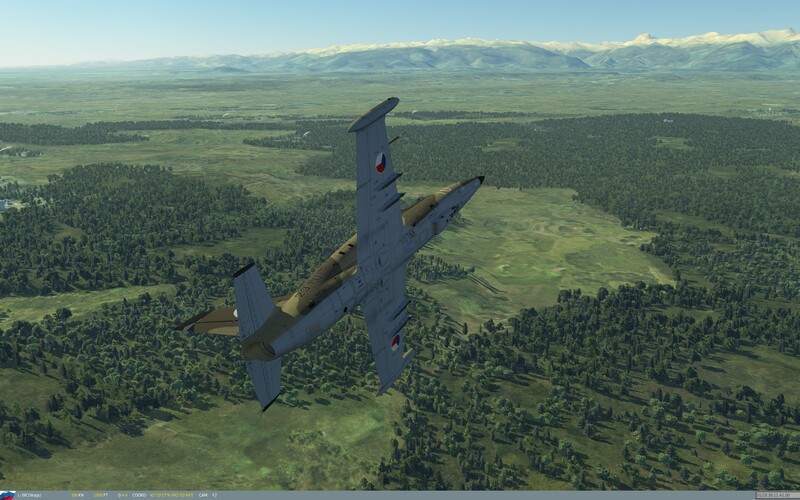 The L-39 Albatross in Georgian theater rendered in DCS World 2. Even if it is the same visuals, the new engine will bring a few more FPS to your screen for the same settings. Utilizing DX11, the new graphics engine is more efficient at doing more stuff. That’s one of the great things about technology – it’s always faster/better/cheaper if you give it enough time! The new engine should also better take advantage of SLI and Crossfire, if you’re into that sort of thing. I also got to spend a little time behind the windscreen of the still-in development L-39 Albatross. It’s too early to give the module a decent preview, but both the cockpit and the exterior models are highly detailed – a good indicator that there’s some real love being put into this project. You can also see some details of the Black Sea terrain as rendered with the new engine. The fact that there are no screenshots or no tracks doesn’t mean that this landing ended in a fireball. I swear. You can’t talk about the Nevada terrain without asking “WHEN” in a really exasperated tone of voice, but Matt gave me the same assurances that have already been given publicly – the terrain will be released when both the terrain and the graphics engine it requires are ready, and not two weeks sooner. 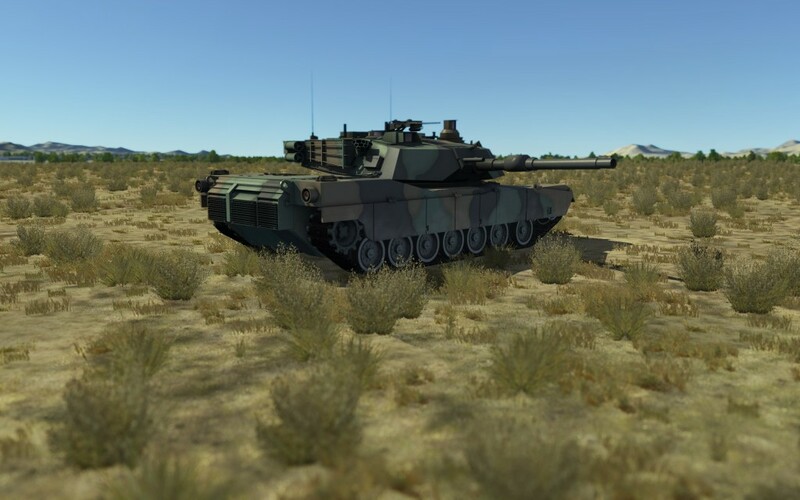 He did give me a pretty thorough tour of the new terrain, however, from the Panamints to Creech to Nellis to Lake Mead, and gave me a first-hand look at some details that have already been discussed in the forums. It’s hard to truly appreciate with the short amount of time I had in this map, but the Nevada terrain is ginormous. It is ridiculously large (600km * 610km = 366,000 sq. km = 141,000 sq. mi = 107,000 sq. nautical miles) compared to other flight sim map products. Even so, it’ll be a highly detailed map, with meshes down to 1 meter in specific areas, and dense areas of hand-placed textures and objects surround by stretches of wastelands. Just like the real Nevada. 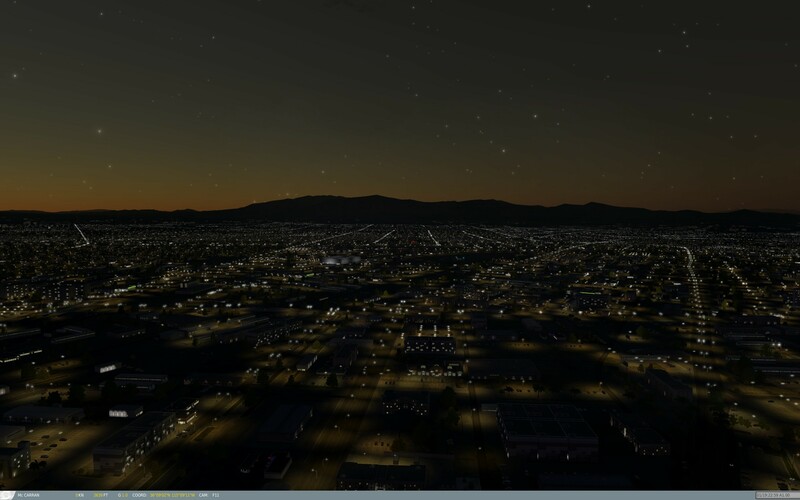 The biggest city on the map, Las Vegas, is extremely finely detailed. This should be apparent from the available media already out there, but hopefully the six-level F-10 map zoom-in above demonstrates just how finely detailed. Each of the green blocks represents a static object – car, pole, bush, etc. Rich details like this add significant immersion to low-level flying in any platform. Naturally, I buzzed the Stratosphere in a Su-27 and cruised off-strip in a Ka-50 Black Shark to sample the city life. The level of detail in the Las Vegas area is staggering – easily the most detailed I’ve ever seen in a stock map and comparable to most Las Vegas payware scenery for other flight sims. It won’t be mistaken for the real thing, especially down low, but from downwind at Nellis, or even at McCarran, it’s pretty dang believable. Cruising at telephone-pole-level in my Ka-50, I’m surrounded by a sea of details: traffic lights, moving cars, chain-link fences, multiple building types, etc. Las Vegas at night. The stars even twinkle! As is required for any new terrain checkout, I spent a lot of time at low-level at various points across the map and reveled in the smooth curvature of weathered ridges, the photo-realistic alluvial plains, iconic dry desert washes, and a myriad of other fine details that are made feasible by the new graphics engine. Ridges and mountains cast long (and dynamic!) shadows across the desert, really adding to the experience. Rendering all 366 billion square meters of the Nevada terrain in 1 meter mesh would be prohibitive, so much of the map is roughed out to a larger mesh spacing. This reduces map size, loading times, and overall computing performance. Much of Nevada could be processed with a hundred meter mesh and not lose much detail, but then there are parts that have lots of curves and angles: rich snapshots of millions of years of geological processing that could easily get washed away with coarse grids. Death Valley is one of those geologically dynamic places, so I took a low-level trip alongside the Panamint Mountains to see how this national treasure fares with the “low mesh” treatment. As to be expected, the Death Valley terrain isn’t as awe-inspiring as the real deal, but still captures the character of my favorite arid valley quite nicely. I was able to spot Furnace Creek Ranch and Bad Water Basin relatively easily. I don’t think this terrain’s Death Valley will be a hotspot for virtual air tourist activity, but there are canyons and valleys to make low-level dogfights fun. At even higher altitudes the area is still visually impressive. A few other areas of the map are similarly roughed up – a conscious choice by the map developer to save resources, and possibly fuel for the fires of easily excitable rivet counters – but we’ll have to see the final product before we can really assess it. At any rate, even the coarsest valleys seemed smoother and more realistic than some of the angled canyons of the Georgian terrain. The Nevada Test and Training Range (NTTR) and Las Vegas areas, where folks will be spending most of their time, have the “medium” and “high” mesh treatment for a uniformly smooth terrain experience. Being an executive producer is not without its perks, and Matt gave me the opportunity to see Nevada through the Oculus Rift DK2. The DK2 improves on its predecessor by significantly reducing motion blur due to persistency. Although the resolution of the DK2 is much better than its predecessor, I still don’t find it sufficient to read the steam gauges, panel labels, or find bogeys off in the distance. That said, completing the illusion of depth perception is as game changing as head-tracking and the 1:1 6DOF head movement fully immerses you in the cockpit. Flying low with the Rift, you really feel the sense of speed. The detailed new terrain doesn’t hurt this experience at all, either! The Rift also brings new joy to the challenges of formation flying. It’s easier to pick up relative velocity cues with depth perception, and close formations really feel close. I’m really hoping this technology continues to improve. Formation flying is much better when you get to use BOTH eyes. The MiG-15 will always hold a special place in aviation history – one of the core founders of the jet age – and I was thrilled when I read the announcement of its upcoming debut in DCS World. Matt gave me hands on time with this iconic jet and I was incredibly excited to be the first outside of the Eagle Dynamics and Belsimtek teams to fly it! Built by Belsimtek (the same company that brought us the Huey, the Mi-8, and the F-86F), the MiG-15bis’ cockpit is detailed – gorgeously so – and exudes that stereotypical Russian-ness with Russian gauges and light blue interior. While still pre-alpha, the module I flew felt solid and contiguous – animated cockpit controls, a smooth flight profile across the regimes I explored, and a satisfyingly laggy engine response. For a pre-alpha, the module felt very well developed and was a joy to fly. 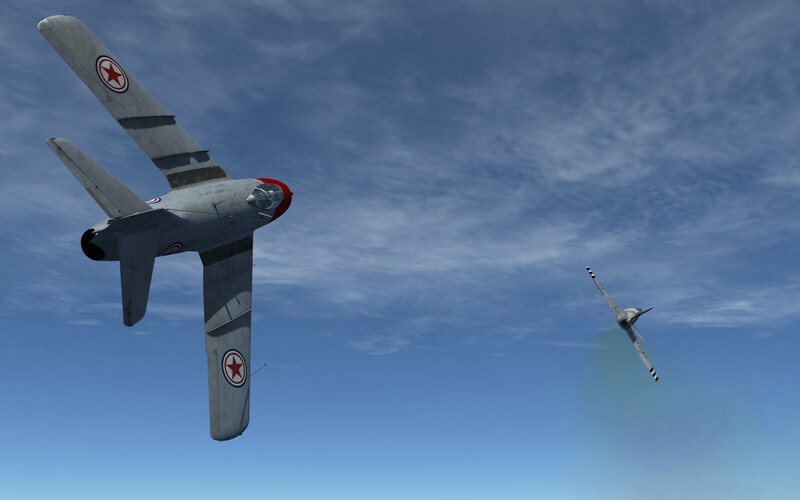 The 23mm and 37mm cannons were fully functional too, so Matt challenged me gave me the chance to take on an AI F-86F in this bad boy. I’m very happy to report that not only did I win that engagement, but I also successfully landed! Of course I was too busy flying and fighting to think about taking screenshots or video <sigh>. Hopefully Matt will back me up on this one. No one is more motivated to release Nevada than the folks who have to take the brunt of this community’s impatience, but the product is simply not quite ready for release. 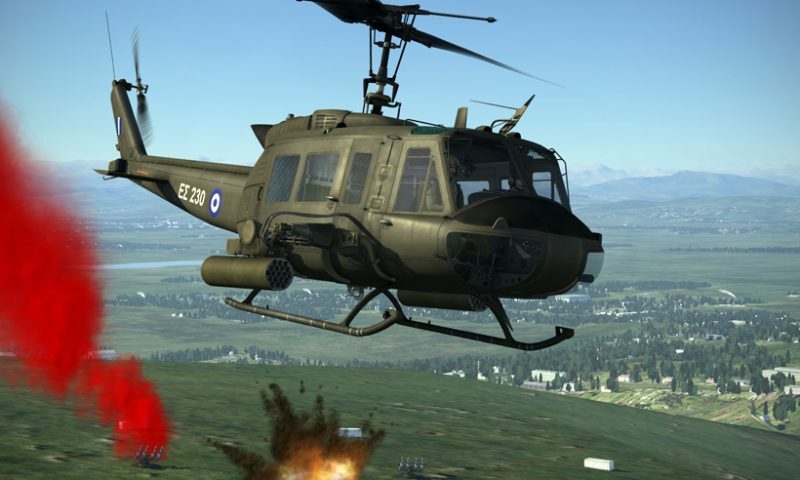 The remaining issues aren’t insurmountable – just normal software development and integration issues that always take more time than planned – but they mean we won’t see DCS World 2.0 by next week. This month? Probably not. This quarter? Possibly. This year? Most likely. 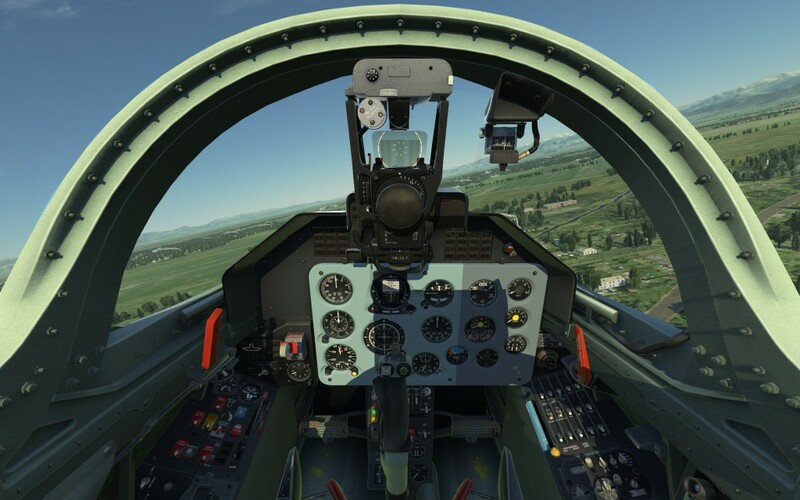 When it does come, DCS World 2.0 will be released as alpha with the updated graphics engine as the same free-to-fly simulation that it has always been. Folks will not need to buy DCS World 2.0. All the official modules that folks already have will be compatible with DCS World 2.0. There will not be a separate DCS World 2.0 version of modules that have to be purchased separately to stay current. Any required updates will be freely downloaded/installed (currently handled automatically by the DCS Updater). The Nevada terrain will be pre-released as alpha to folks who bought DCS: A-10C while it was in beta, and to folks who decide to buy-in once the pre-release is made available. As with other DCS modules, feedback from users will be used to drive the free updates we’ve been getting from Eagle Dynamics. No official word on pricing. DCS World 2.0 and Nevada are coming and they’re going to be amazing – not only for what gets delivered with that initial release, but for the opportunities it will open for future map development and capabilities. Coupled with the number of modules all coming to DCS in the near term, 2015 is going to be a busy year for DCS World fliers. I’d like to thank Matt for giving Mudspike the opportunity to get an inside look at the products above. If you ever get the chance to meet up with him, he makes one mighty fine Kool-Aid! Oh man, nice shots and details. Very nice, thanks for the update. excellent article and to the point. fearlessfrog, hopfully, will one n two-up all of you with firebreathing, earth shattering F-18C first lookie. What kind of FPS and computer specs did you use in your demo? It would probably be misleading to put up actual numbers because the product is still pre-alpha, but frame rates were consistently smooth at completely maxed out settings and there were no stutters or slideshows during any of the time I spent at the machine. The PC that ran DCS World 2 was Matt’s: you can see his specs on the Eagle Dynamics forums – look for the signature in posts by Wags. Be careful that actual performance relationships may vary once DCS World 2.0 is released. Awesome pictures. Thanks for this news site. A great addition to the DCS World! Good article. You are doing a great service. Can’t wait for the DCS 2.0 release! Nice review you lucky dog. Man. I am really looking forward to this. 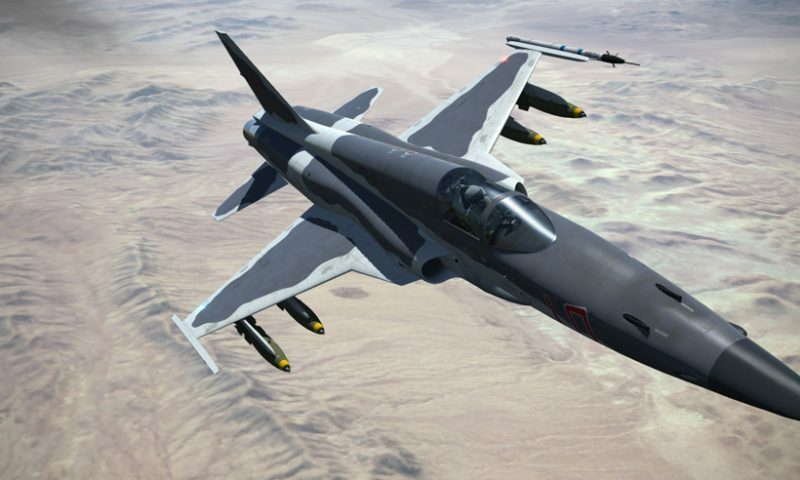 I wonder that since were getting DCS 2.0 set in Nevada will we get the F16 A and C to go with it? No word on any F-16 modules. If any are in work, they’re keeping it awfully quiet. Fantastic preview. Thanks for posting. It is getting pretty hard to wait for 2.0. Its disappointing that it is still getting pushed back…but afterfall, shouldn’t really be surprised considering the size of ED and how interconnected and complex DCS has become. Hi, I have a question about the rift support. Is the new engine powerful enough to render high FPS for a smooth oculus rift experience? Are you flying with the DK1 or DK2? The DK1 has serious issues with persistence which would give a juddery feel to the video. My experience with the Rift DK2 on Matt’s machine was flawless. With a relatively low resolution on either the DK1 or DK2 screens, I wouldn’t expect to see FPS issues with either Rift on any setup. The level of detail of the city on the mission editor is fantastic, if this is the standard for the new maps we are indeed in for a real treat! lets just hope the AI can navigate the streets though or all that detail will be somewhat wasted. I would imagine the AI vehicles can pass through civilian traffic as in current version. Or else, it might be too complicated for the AI to devise alternate paths if you blast a few cars and block the road. Would be nice though….if the AI can actually use like a GPS function to navigate around the block. I can’t wait! Great article. Wow. I hope yet another year is not going to go by while we wait for this terrain. The timeline of software development of this magnitude (new engine + new terrain) is difficult to pin down with any accuracy or confidence. From a pessimistic perspective, it’s possible that a major bug could be found that will take months to resolve. Or that a licensing/legal issue will throw a monkey wrench into the delivery. None of these or other worst-case scenarios are likely, but it’d be foolish to think there’s no chance of unexpected delays. As I mention in the article, the remaining issues aren’t show-stoppers – there are normal integration work items that just takes time to happen. That tank shot has really whetted my appetite. Finally Combined Arms can really shine and hopefully encourage 3d party armour add ons! so you got to fly the new engine with Dk2. What are the improvements you saw and is their significant performance and or compensations for the low res to make the pits more usable? The persistency is good, the resolution would not be satisfactory for most of the flying I do. 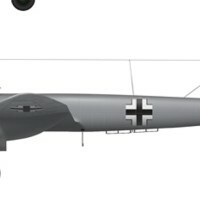 I would maybe use the DK2 occasionally for low-level flying, formation, or casual dogfighting in the Bf109 or Fw190 with labels on. But your mileage may vary. Ya I just received my Dk2 and hope the performance factor is much improved and the general integration of this awesome tech. 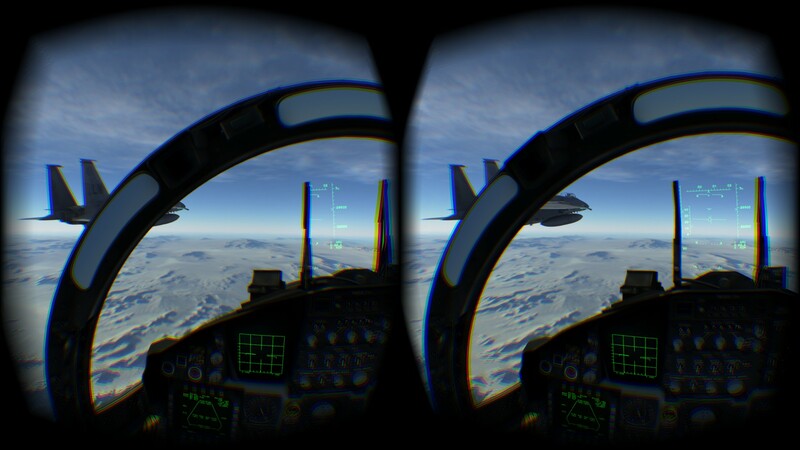 I really hope cv1 and Dcs world 2’will set the standard and bring us into the future of Vr. As is it’s not their yet hence why I was asking since its been tested in dcs world 2. Hoping for more of a detailed right up if possible of that experience. At a minimum we need to wait until DCS World 2 is out, but I’m with you: would love to see more of this tech.